Delta state government has cleared the air on the N20billion bond allegedly secured from the capital market by former Acting Governor of the state, Hon. Sam Obi, saying that the fund was not a bond but a loan. The disclosure was made by the Secretary to the State Government (SSG), Comrade Ovuozourie Macaulay, while addressing newsmen at a ministerial press briefing, on Tuesday February 14, 2012, in Asaba, the state capital. Although he did not explain whether the loan was secured on personal grounds or in the interest of the state government, he revealed that the loan facility is being repaid by instalment. Recall that former Assembly Speaker and three-month old Acting Governor of Delta state, Hon. Sam Obi had written to the Legislature to approve leave for him to secure a bond from the capital market which was expressly approved by the House. But Obi, having secured the fund was alleged to have used the N20billion on self-enrichment as he was said to have purchased choice vehicles and houses for himself and his wife and latter jetted out of the country after his three-month old tenure elapsed. 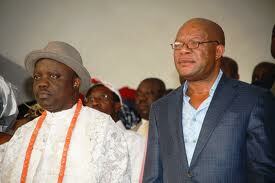 The issue of bond/loan, according to a Government House source, had pitched hatred between the come-back Governor Emmanuel Uduaghan and Sam Obi, as Uduaghan expressed displeasure with the manner with which Obi ran the affairs of government within his short stay in office. However, prominent politicians were said to have stepped into the matter since Uduaghan had just returned to government House after his victory in the re-run poll following the nullification the 2007 election in the state by the Appeal Court sitting in Benin. Meanwhile, Comrade Ovuozourie Macaulay has disclosed that the Delta state government had signed an agreement to take a Bond of N100billion in two tranches, but the state had only taken the first tranche of N50billion and was still considering the necessity of taking the second N50billion tranche. He mentioned some projects that require enormous financing which the state government had already embarked on to include; the Asaba-Ughelli-Warri road dualization, the construction of 10 model schools and rehabilitation and upgrading of over 45 other schools, payment for the completion of the Asaba International Airport and the upgrading of the Osubi Airport amongst others. Comrade Macaulay noted that the law which governed the Bond was structured to ensure that the release of the money was tied to the execution of particular projects and this gave the contractors confidence to be fully committed to the projects. 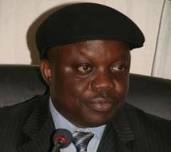 The SSG gave kudos to the administration of Governor Emmanuel Uduaghan for ensuring that achievements were being recorded on daily basis in keeping with the electoral promises of the governor, despite what he termed ‘the glaring lean resources of the state’, and affirmed that the administration was committed to completing all on-going projects and leaving behind a legacy of development to Deltans. If delta state dat recieve 14billion in december alocation is talkin about lean resources, den wat wil state lik edo dat reciev 5b nd odas dat got 3b b saying? Dey ar decieving demsef.